We will meet late afternoon of Sunday 16th June for a welcome dinner and a hotel close to the channel tunnel. Monday 17th : 10am train to Calais and a 250 mile motorway cruise through Belgium and the southern Netherlands into Germany and our destination at Dusseldorf central station in time to have dinner and take the evening sleeper train service to Innsbruck. From there we loosely follow the Alpa Adria long distance hiking trail from the Grossglockner to the Adriatic, before continuing south to Dubrovnik. Tuesday 18th – 160 miles : having unloaded the cars, we’ll get to warm them up on about 40 miles of motorway before turning south, through Kitsbuhel to Zell am Zee, and then across the Grossglockner pass to our stop for the night near Kotschach. Wednesday 19th - 200 miles : leaving Kotschach, we start with a gentle drive south east along the banks of the Gail river, before crossing briefly into Italy, and then into Slovenia. The going gets tougher as we climb into the hills of the Triglavski national park, before heading south to our overnight stops on the banks of the Adriatic near Rijeka. Thursday 20th – 189 miles : the first 60 miles out of Rijeka see us travelling south along the main motorway inland, before climbing the Dinarides massif and descending westbound to the Adriatic with stunning views of the Adriatic coastline and the Croatian islands beyond. 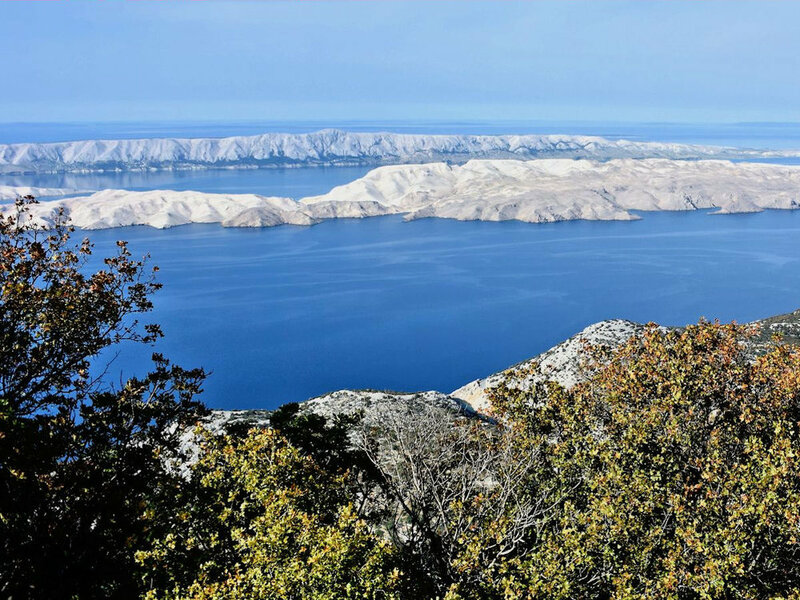 From there, its a quick drive along the coast to Prizna where we’ll get the short ferry crossing to Pag island, famous for its barren moonscape scenery and a gentle drive south along the coast. We’ll cross the bridge at the souther part of Pag to rejoin the mainland and our overnight stop on the coast near Zadar. Friday 21st – 236 miles : a slightly longer day but, along with stretches of beautiful southern Adriatic coast road, there are decent stretches of motorway, ensuring an easy late afternoon arrival into Dubrovnik for our 2 night stay. Sunday 23rd – leave after lunch for 140 miles mixing coast with motorway north to Split, where we board the 8pm overnight ferry to Ancona in Italy. Monday 24th – 193 miles : leaving the ferry early in the morning we head inland to the hills of Umbria via Assisi Perugia and Lake Trasimeno. We then turn north, passing Arezzo before on the motorway before a final run through the hills to our hotel near Florence. Tuesday 25th - 204 miles : Leaving our hotel we head on the motorway to Pistoia, before turning north into the hills once again. Staying off the beaten track, we’ll wind our way through the Tuscan hills, descending to Maranello and joining the motorway to Milan. Wednesday 26th : day at leisure to explore Milan or to head to the reopened Alfa museum at Arese. 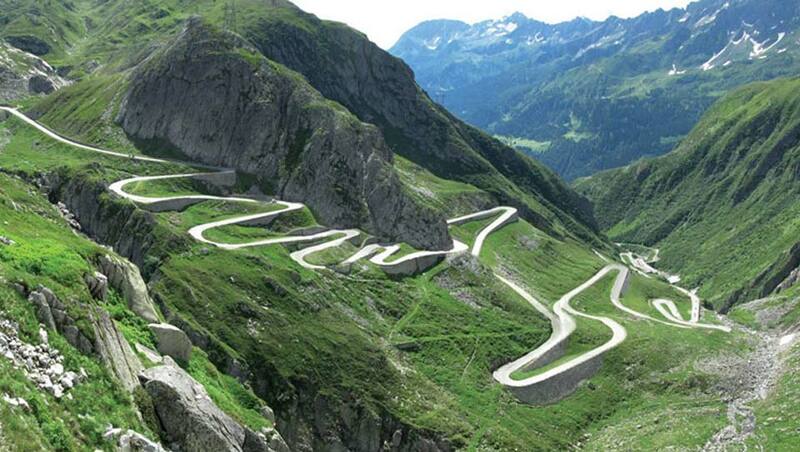 Thursday 27th – 151 miles : from Milan we head north on the motorway via the lakes, crossing the border into Switzerland. From there we continue north on the motorway, passing Lugano until we reach Airolo, where we leave the motorway before the Gotthard Tunnel and take instead the old cobbled Gotthard pass for a picnic lunch, then a short drive down to Andermatt. From Andermatt we head to our lakeside hotel near Brienz, via the Sustenpass. Friday 28th – 166 miles : from Brienz we have a short section of scenic motorway to Giswil, before turning west and driving through the hills of the UNESCO Entlebuch Biosphere. At Sursee, we’ll pick up the motorway once again for a scenic drive to Basel, then across the border into France where we’ll continue north along the motorway to our overnight stop in the Alsace near Obernai. The itinerary will allow those who wish the short diversion into Mulhouse to see the Musee Nationale de l’Automobile which needs no introduction to those that have been and is a must-see for those who have not. Saturday 29th – 241 miles. This is the only long day of the trip, starting with a route through the northern Alsace mountains and a chance to stop at the Struthof. This was the only wartime concentration camp located on French territory, and was used in particular for the incarceration of resistance fighters, Allied spies and POW escapees from across many European nations. As such, there is an interesting if macabre international history to this place, in what is now a well-organised museum in a peaceful setting. We will then continue north west to join the motorway close to Metz, before leaving it once again to enjoy fast, open country driving to our destination near Rethel, and a final group meal. Sunday 30th – 170 miles to Calais : today there are 2 options – the first is to cut west across country and join the motorway near Laon for the journey back to Calais. The second heads north west through the countryside to join the motorway further north at St Quentin. The choice is up to you, depending on the amount of driving you have to do on return to the UK. However, our arrival on a Sunday promises light traffic and the long daylight hours will also help. If you require any further information, please contact Richard.hampton@omsco.co.uk for more.